And from just that perspective, this book, which is the story of Patagonia, gets five stars. Patagonia and its founder, Yvon Chouinard, seem very much put on this earth to be a positive force. Yvon goes so far as to say that he hates being called a business man because of the implications that come along with it. Unfortunately, for me, he also uses this book to dive super deep into the in’s and out’s of various fabrics and materials that work best for someone with an outdoor lifestyle. Page after page on these kind of details had me searching for the 2x button (I listened to this on Audible.) 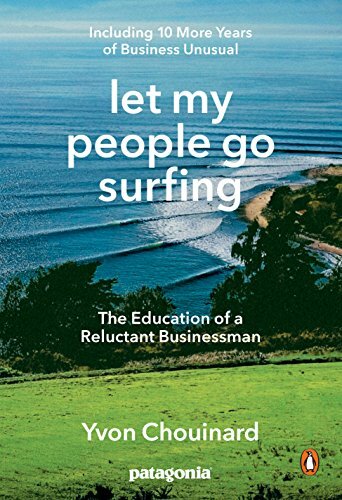 However, the story is great and I’m now an incredibly huge fan of Patagonia, and as long as they keep fighting these kinds of battles, I’ll remain in awe of them.